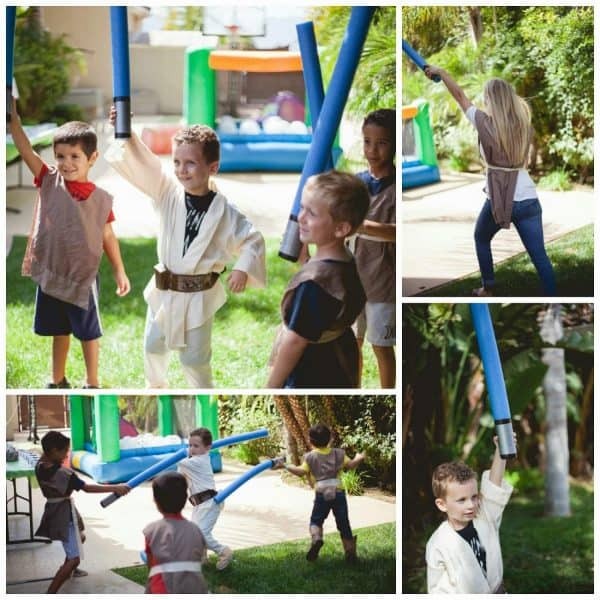 Star Wars Party: Jedi Jaxon’s Star Wars 4th Birthday Party. 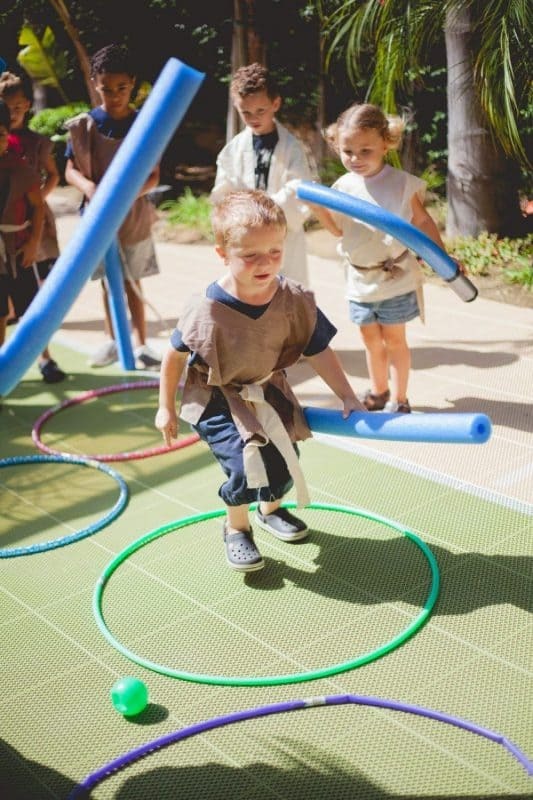 This Star Wars jedi training birthday party styled by Bridgey Widgey is out of this world. 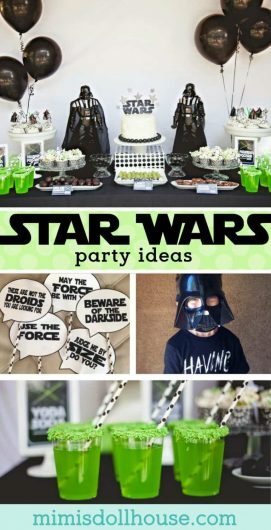 Be sure to check out all of our Star Wars party ideas and inspiration. I love the yoda soda…what kid wouldn’t want to drink these? Adorable, right?? I also love how Bridget incorporated some of Jaxon’s toys into the decor. 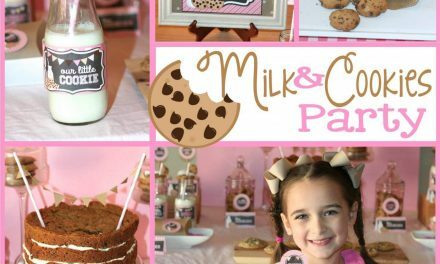 That’s the best part about making a party theme that your kids are crazy about…they probably already have a bunch of stuff you can use laying about!! Saves time and money. Winning! Isn’t this little Leia adorable? Here are the fun photo props to match that make great photo ops for the kiddos!! 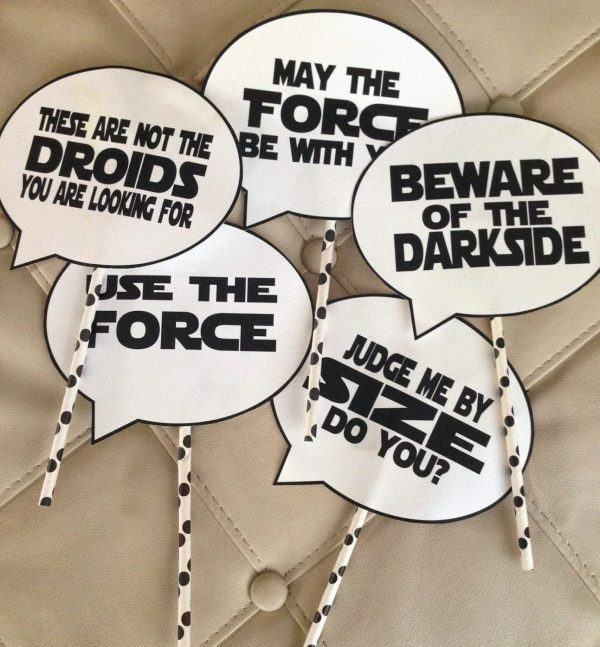 Aren’t these little light saber sticks the cutest…you can find the directions here. What a little cutie out delivering his invitations:) The kids look like they had so much fun doing Jedi training. 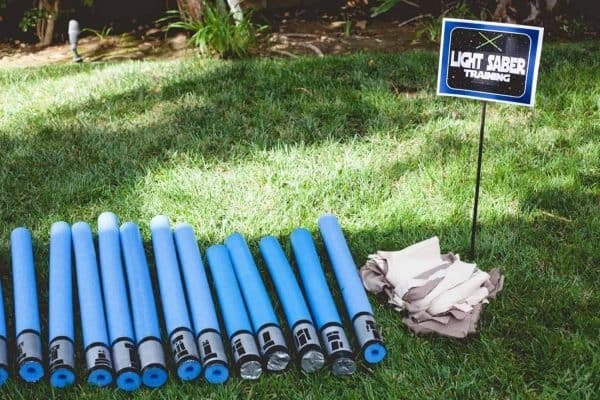 These fun light sabers were made by cutting pool nooldes in half and wrapping duct and electrical tape around the end. So clever!! 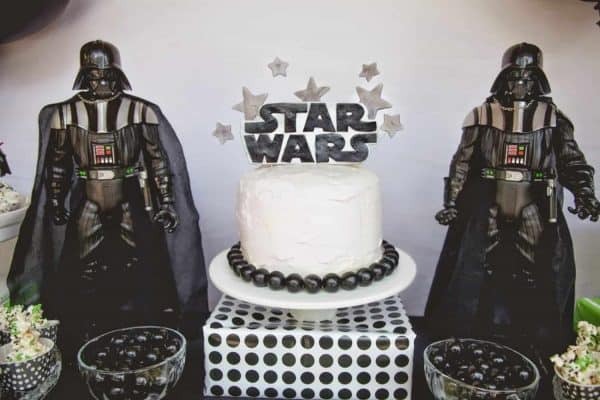 I love this cake topper. Adorable, and the gumballs at the bottom of the cake gives it such a cute effect. 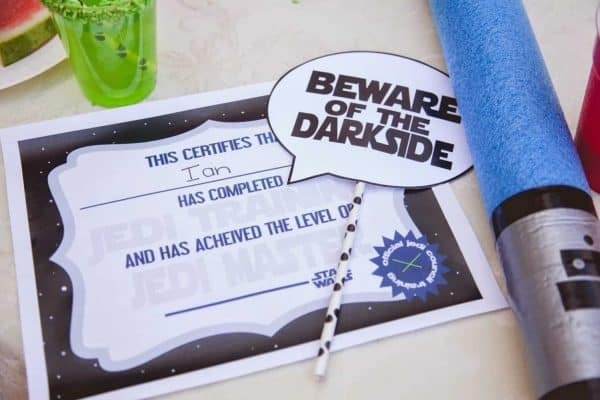 The little Jedis all received certificated of Jedi Training Completion. 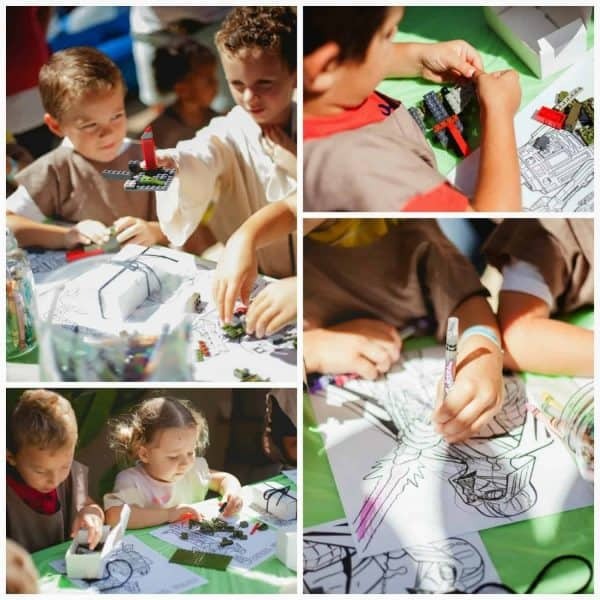 It looks like they had a blast putting together these little star wars Lego sets too. 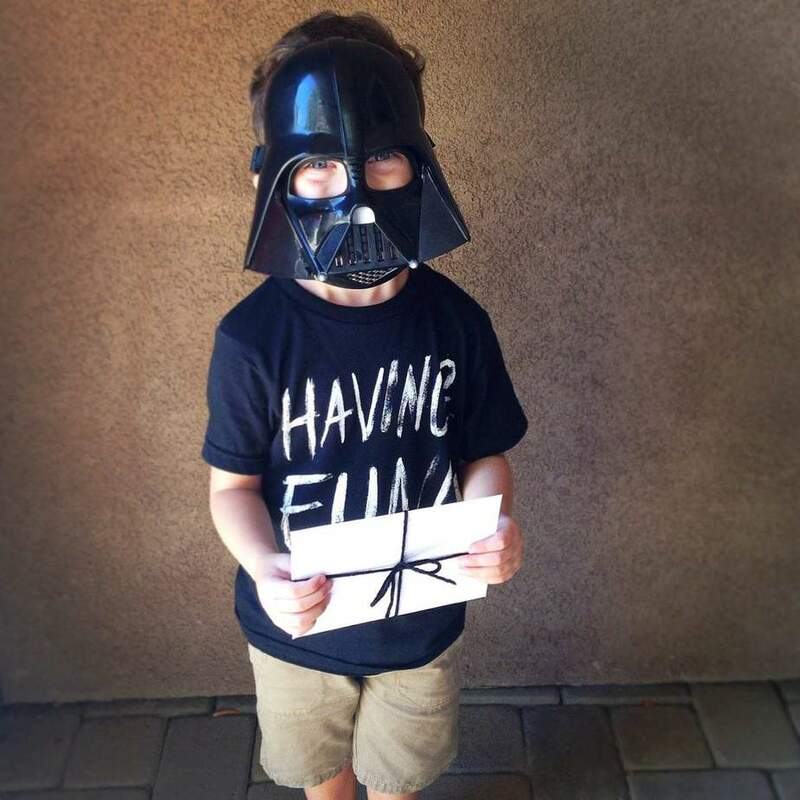 Happy Birthday Jedi Jaxon. May the Force be with you!! 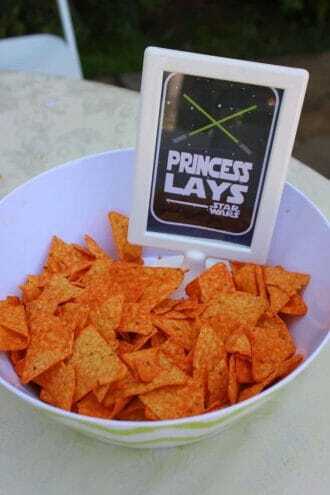 Wanna throw a Star Wars Party? Thank you! It is an awesome party!!! What a cool party! You did such a great job with all the themed decorations and goodies. I love the color combinations too. Looks like the kids had a great time. I’m sure it was a lot of work but everything looked fantastic. This is one of my favorites for sure!!! Bridget did a great job!! This looks like an awesome party!! I can’t wait to do the same one for my son some day. 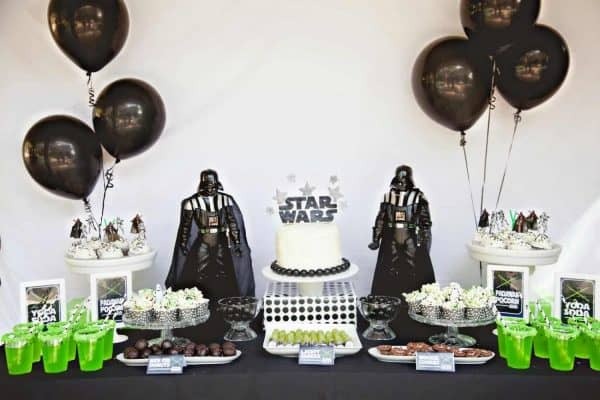 Oh, my god, this looks like a dream birthday party. 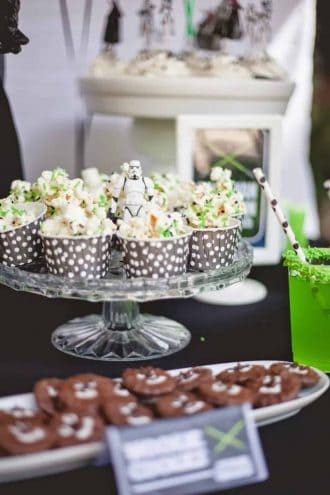 I simply loved the party decor and every Star Wars fan would crave to have such a party. That looks like such a fun birthday party! 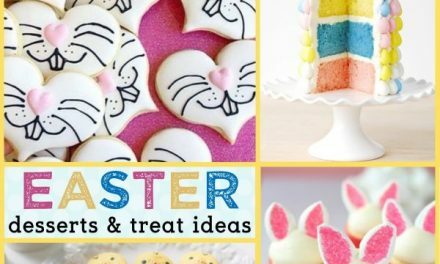 The printables are so well done, and add so much to the theme. You could be a party planner. Fabulous job! Love the pool noodles you crafted. I’m sure everyone had fun. This is awesome! What a great party! I love all the pictures! What a fun party! Love the pool noodle light sabers. Such great ideas. That looks like an awesome party! 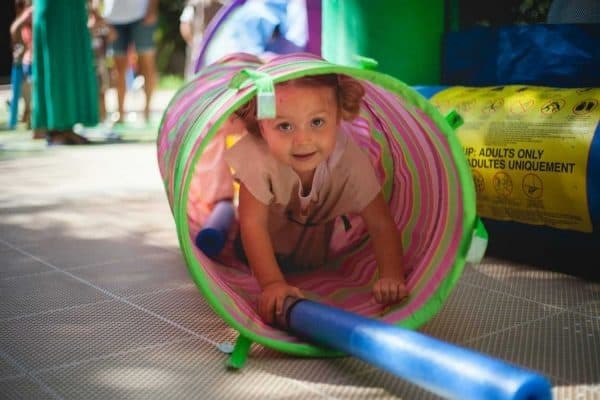 I love the fun activities! 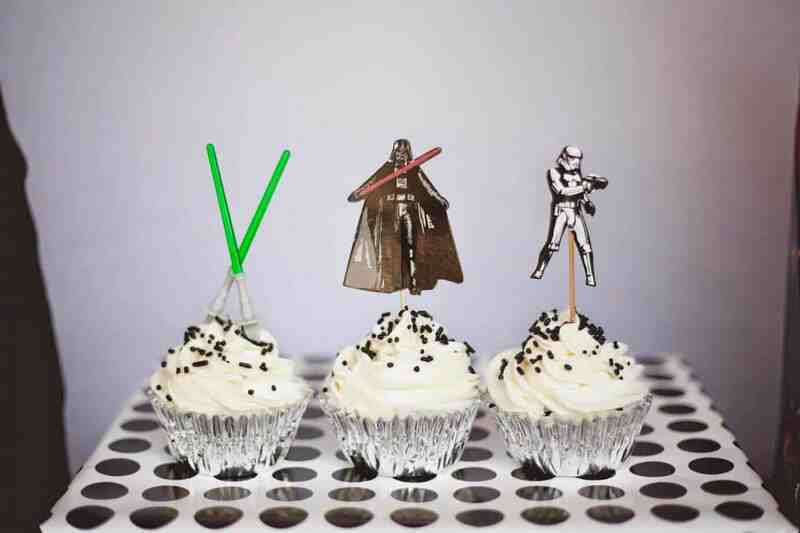 The lightsaber cupcakes are awesome too! This party is so extra! lol I love all the detail so much! You went all out! So darling! 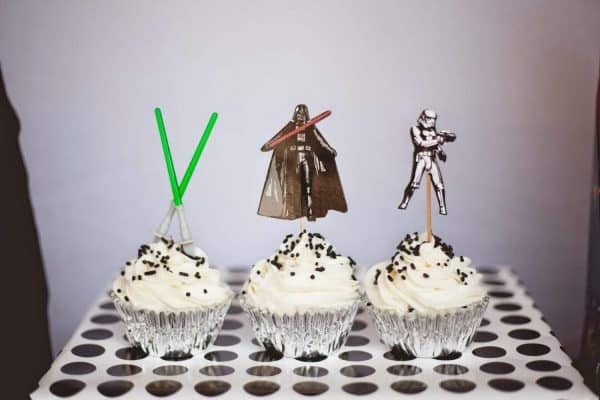 Love the little light sabers! What a fun party! I love all of the details! My goal is to throw parties that are put together like this! I really enjoy the planning aspect, but sometimes fall short on the execution! Amazing fun! 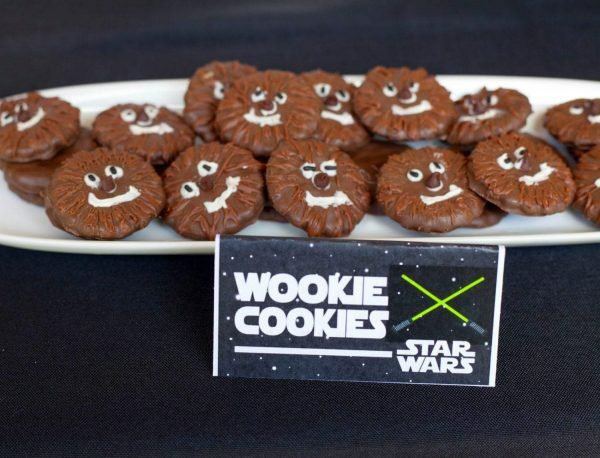 Those Wookiie Cookies….so creative. I’m still chuckling about that. So many fabulous elements in the party! Oh my goodness!! This is amazing!! 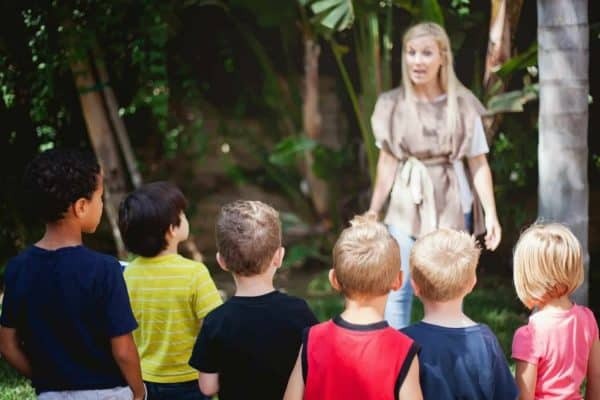 I bet all those kids had such a blast! 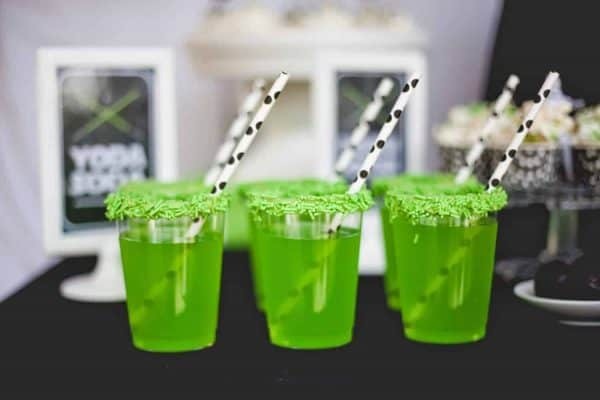 Love all these fun ideas for the party! Everything is so cute, fun, and inventive! Love the fun light sabers! AMAZING! That is total party #goals right there! Yoda soda looks like every kids dream. 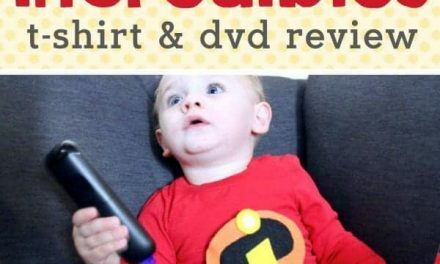 Your printable are fantastic! 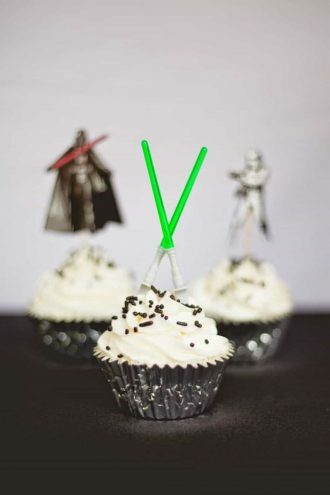 Those Green Sprinkles on the cups are the bomb! You totally went out of your way to make this a stellar party!! Awww….that is awesome! You went all out! Super creative! 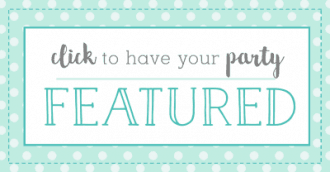 Where are your favorite places to shop for birthday decorations? I love everything about this! I want a party just like this for me :) I mean, yoda soda?? How adorable is that. I can imagine how much fun he had at his party. This is so cool and well done. How fun! It looks like the kids had a blast! I love themed birthday parties! 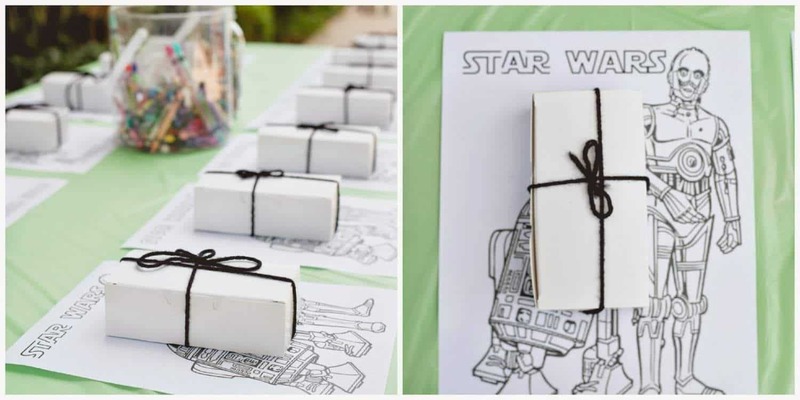 This is such an awesome idea because… Star Wars!!!! 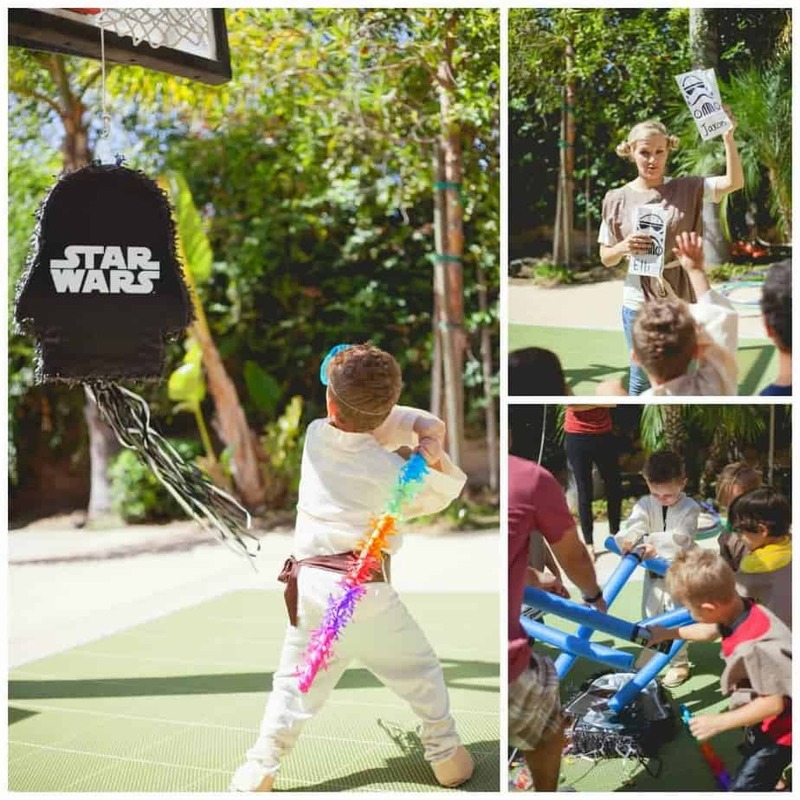 My boys almost always have a themed party and of course, it is something they already love so, as you mentioned, we usually already have a lot of toys laying around that I can incorporate into the decor. I’m not personally a star wars fan but there’s no denying how popular it is. This looks so cute! I love themed parties!! 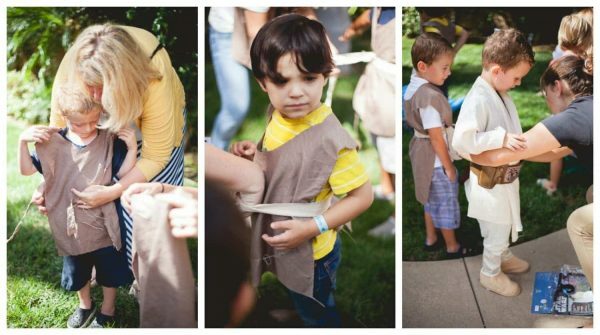 This was so well put together and the kids look like they had a blast. The cups were my favorite. 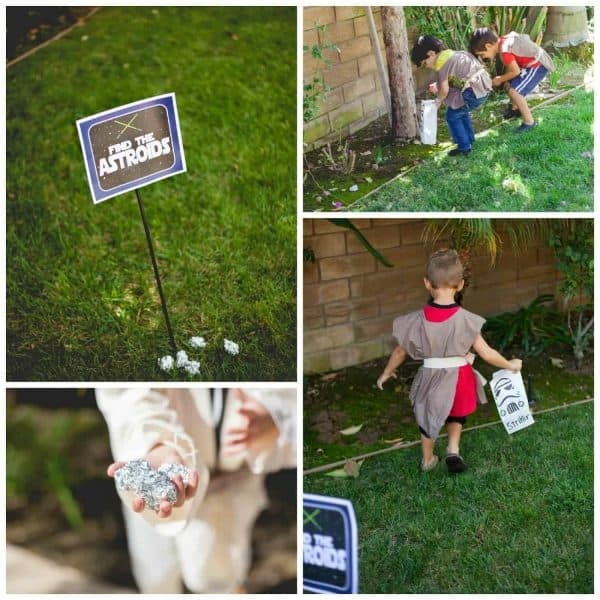 This is SO great and totally beats any party i had as a kid!! Total gilmore girls party status! This looks like so much fun!! And I’m dying over that Yoda Soda…. too flipping cute! LOVE LOVE LOVE. 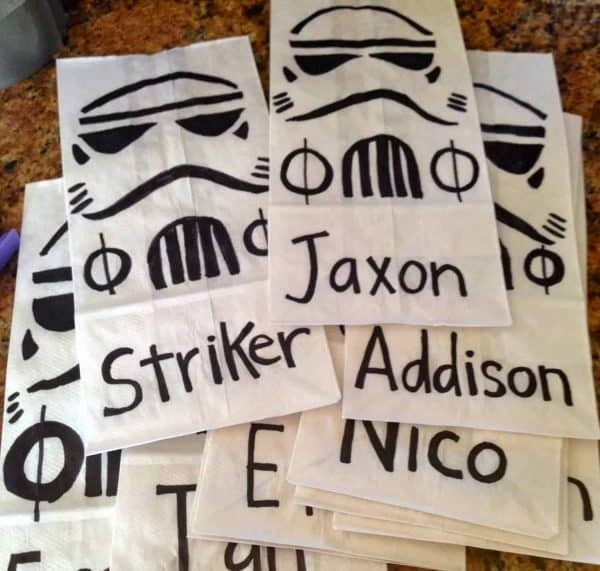 We are a Star Wars family and this is allll soooo cute!!!! Pinning for later. This looks like such a great party here. I love the speech bubbles that you have. They look like such a lot of fun. And you do have some great decorations. 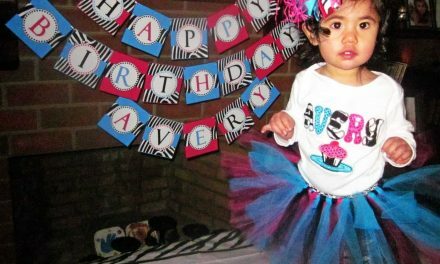 My daughter would have loved a party like this for sure. 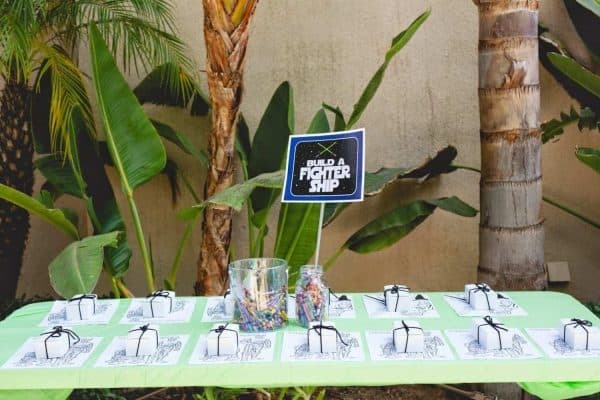 What a great theme for a birthday party, looks like you went all out, great job! 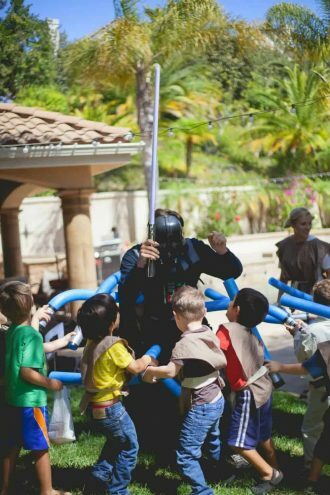 My son would love this party. 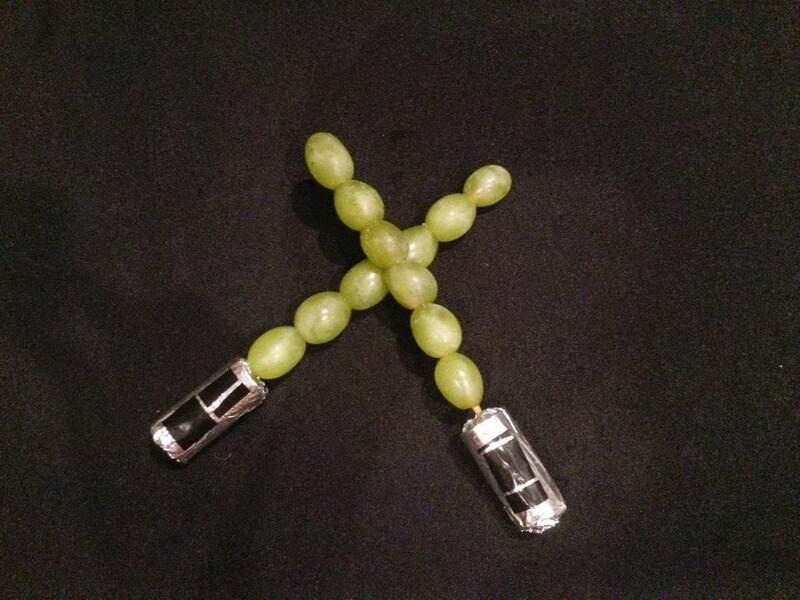 I think the grape light sabers are cute! Those bags would be fun to pass out too! Oh my goddd this looks so fun! I can’t get over how amazing the decorations and the food look – you’ve outdone yourself! What a cute party! Our nephew told us that he wants a Star Wars party… so we will definitely come back here in September. The perfect party for fans of Star Wars! The pinata looks like so much fun and I really like the Wookie Cookies! I really think star wars is a great theme, how come I never thought of that??? You have always giving me new ideas and inspire me. 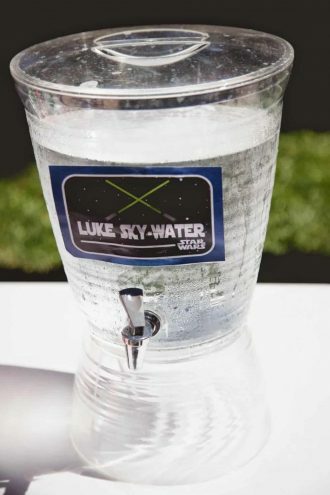 The sky water is really healthy… non sugary and non frizzle which is absolutely good for kids and adults too! This is so cute. 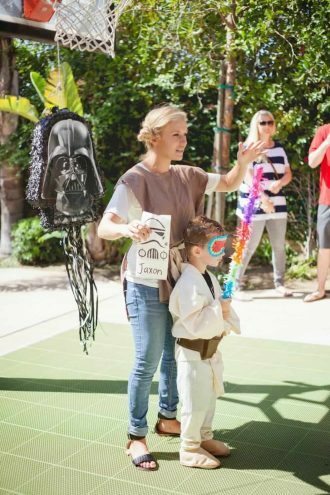 My son went to a Star Wars themed party but this one is definitely a step above! So much amusement for this party. 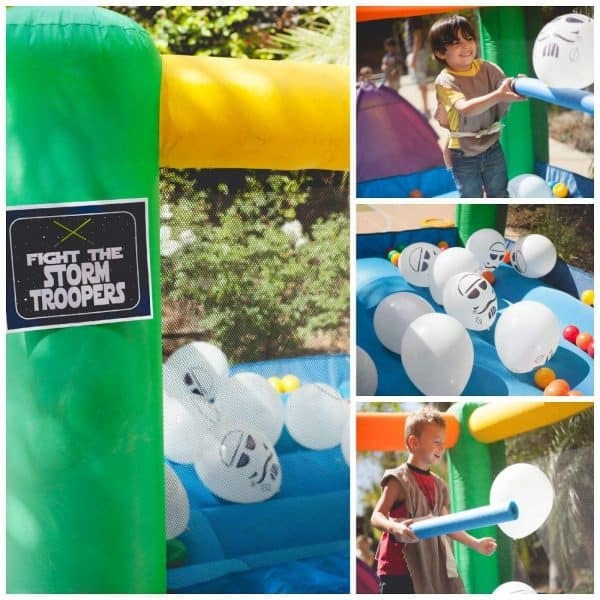 It’s so amazing and perfect for kids who love Star Wars.. May the force be with you! 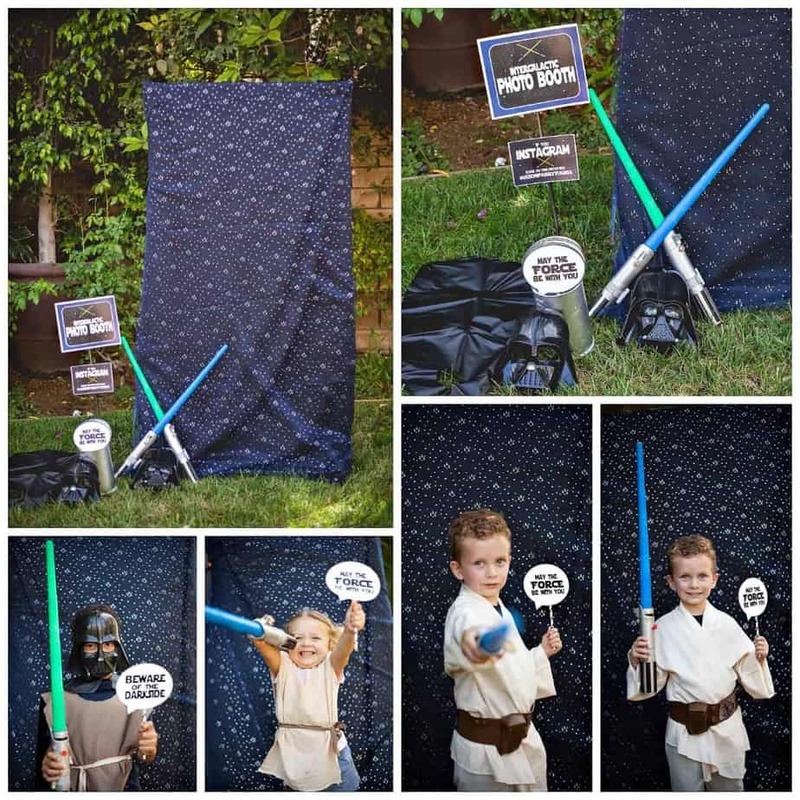 Aww what a super fun idea for any Jedi having a birthday!!! We are huge Star Wars fans so I’m totally loving everything about this party!!! 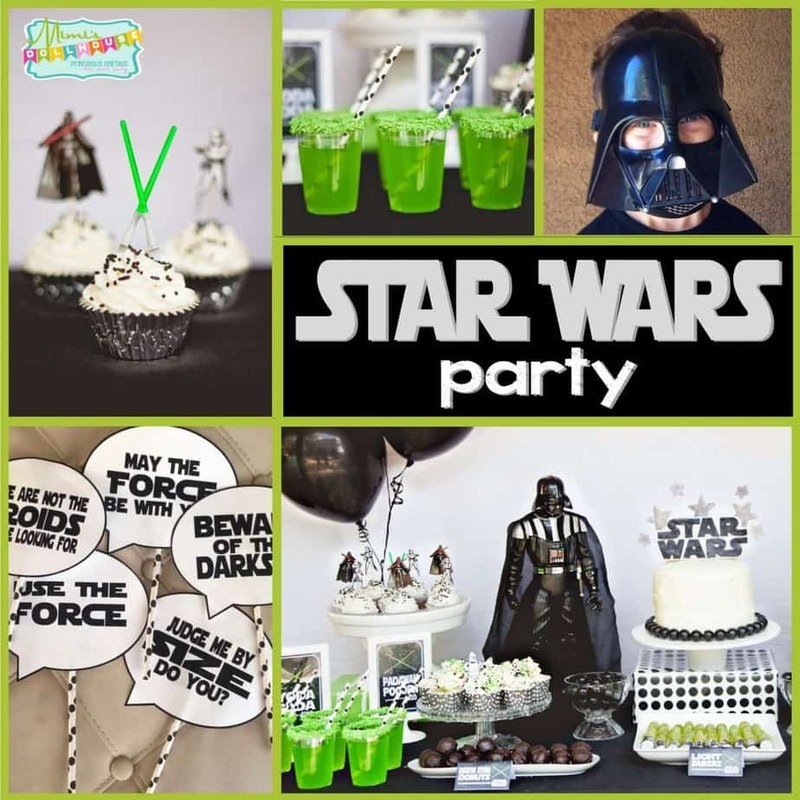 A star wars party! Oh my goodness! Sod the children my boyfriend of 28 would love this! Love the cookies in particular! You really are very creative. I can see you enjoy your craft and you’re very good at it. This was such a refreshing read. Specifically i loved the Yoda soda associated picture. It’s really an awesome post. I like it. Adorable! Star Wars is such a fun theme to do! !